Advait Deodhar has confirmed his participation in the 2019 NASCAR Whelen Euro Series' Elite 2 Division. The Indian racer will drive for the Dexwet DF1 Racing Team, and will begin his campaign at the first round of the championship in Valencia that is being held on April 13 and 14. Deodhar has confirmed that he will compete in the first three rounds of the championship - Valencia, Franciacorta and Brands Hatch - and is in the process of putting together the funds for the rest of the seven-round season. 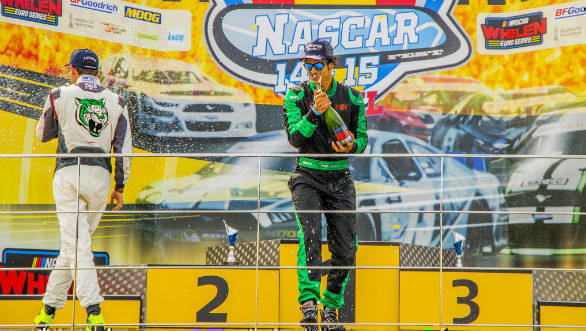 In 2018, Deodhar made his racing debut in Europe, driving in the Euro NASCAR's Elite Club Division. While he began the season with the Mishumotors team, winning in his first race for them at Valencia, he continued his winning form, despite switching to the BVR Motorsport team. Deodhar successfully defeated championship rivals Clemens Sparowitz and Andreas Kuchelbacher, to take home the crown. This year, he hopes to win the championship in the Elite 2 division.